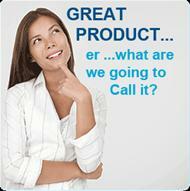 FREE legal advice on all IP issues - CALL US - we love talking brands and trade marks! So what would you like to do next...? 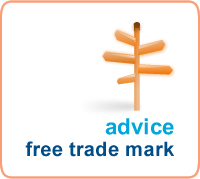 GET FREE LEGAL ADVICE ...talk to a trademark expert right now on any aspect of trademark registration. Our legal advisory service is free! 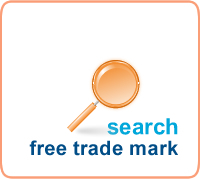 GET A FREE TRADEMARK SEARCH. Get a free Trademark Search now. 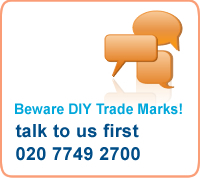 All our trade mark searches are reviewed by experts. TRADEMARK NAME. 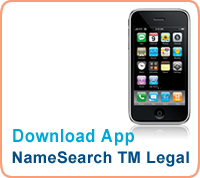 Let our experts trade mark your name for you today! Trademark name rights by trademark registration ...get a free report on the legal availability of your trademark, name or slogan BEFORE you commit. REGISTER A TRADEMARK APPLY NOW...PAY LATER! ...FIXED FEES...NO hidden costs. You pay nothing at all until your trademark searches are complete, we have carried out a comprehensive legal review of your proposed name and you have had the benefit of our specialist legal advice service. Our team of highly experienced trademark lawyers and leading trademark specialists are independently recommended by Chambers Legal 500 Directory as UK Leaders in the Field of Intellectual Property Law. We provide a one-stop trademark resource dedicated to helping you register your trademark and providing fast, professional trademark help, advice and guidance on all trademark registration and branding issues. We deal with UK, EU and International trademark protection ..so if you need advice on how to trademark a company name, copyright a logo, or register a trademark anywhere in the world, we can help. So take full advantage of our unique and highly acclaimed trademark registration service. Contact us now and get immediate, helpful and practical legal advice from qualified UK trademark lawyers completely free of charge. We advise on all trademark registration issues, trademark conflicts, domain name disputes, brand ownership questions, new product development issues, pre-launch action planning, passing off and trademark infringement matters. Your trade mark is valuable: entrust it to the experts with over 30 years experience in the field of trademark registration and brand protection in the UK and internationally. Read here why should you use us? 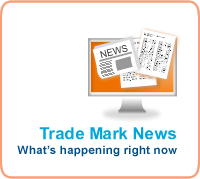 IMPORTANT: Trade mark law is a highly specialised area. It is very easy to make a serious mistake or miss a trick when registering a trademark. You should always speak directly to a trademark expert before committing to the cost of a trademark registration. Our trademark registration service is an advice-based service. This means that you will have the benefit of discussing your trademark registration strategy and any concerns with a trademark expert before you proceed. 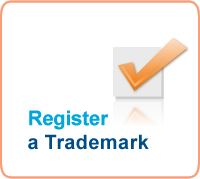 This is a completely free service that we provide to make sure you get the strongest possible trademark registration. This is definitely not something that should be entrusted to an automatic computer search programme. Professional judgement is always necessary to ensure that you get the best possible trademark protection. So contact one of our experts who can exercise the necessary professional care to ensure that you receive the best possible trademark registration advice.